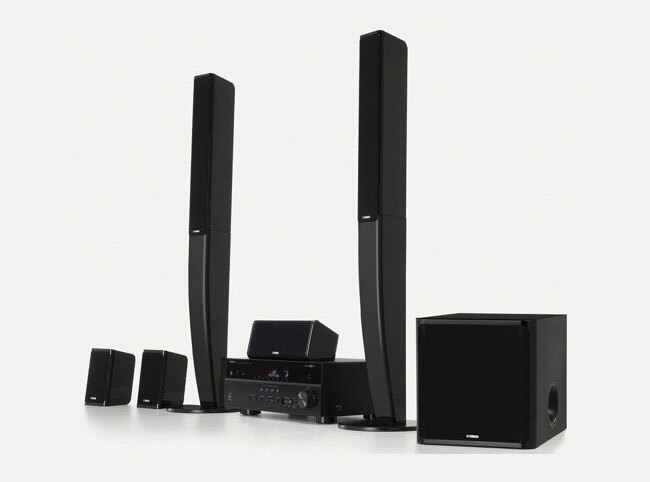 Yamaha has this week unveiled a new addition to their range of home theatre systems, with the launch of the Yamaha YHT-697. The Yamaha YHT-697 home theatre system is equipped with Airplay support and features a Apple connectivity, with iOS, Android, Kindle Fire app control. The YHT-697 is equipped with a 6 ½” 100W multi-range subwoofer, together with compact surround and center speakers, with HDMI 4K and 3D video pass-through. The system comes with its own companion iOS application the highly acclaimed Yamaha AV Controller, and offers a full complement of HD Audio format decoding, including Dolby TrueHD, DTS-HD Master Audio, Dolby Digital Plus and DTS-HD High Resolution Audio. The Yamaha YHT-697 is now available to purchase for around $749.95.